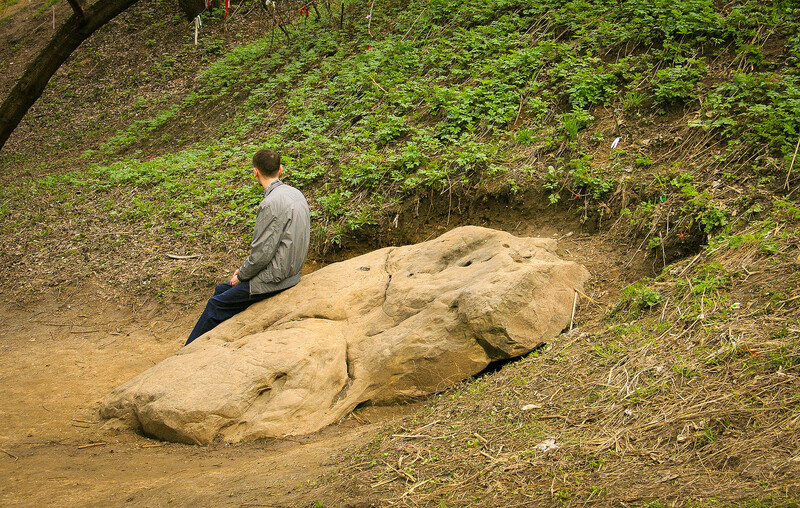 Russian nature, ancient wooden architecture, legends, and bike tours – do you need any more excuses to go there? 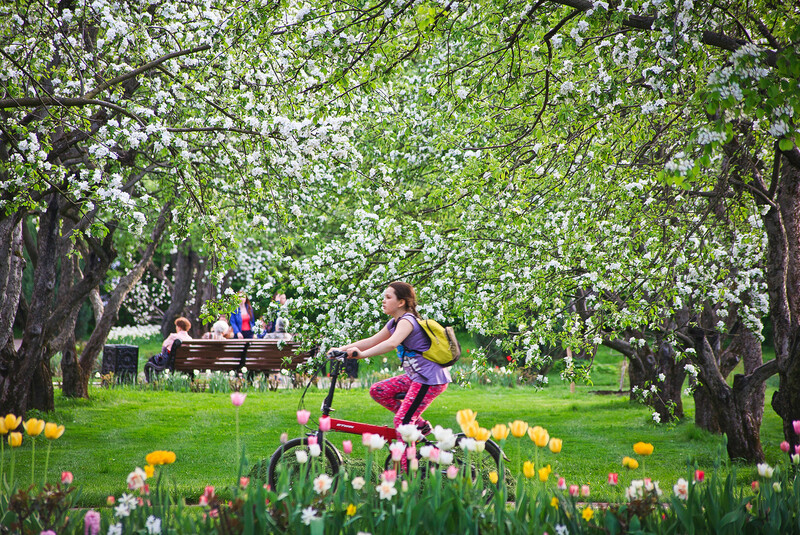 A few kilometers southeast of Red Square you will find the former royal estate of Kolomenskoye. 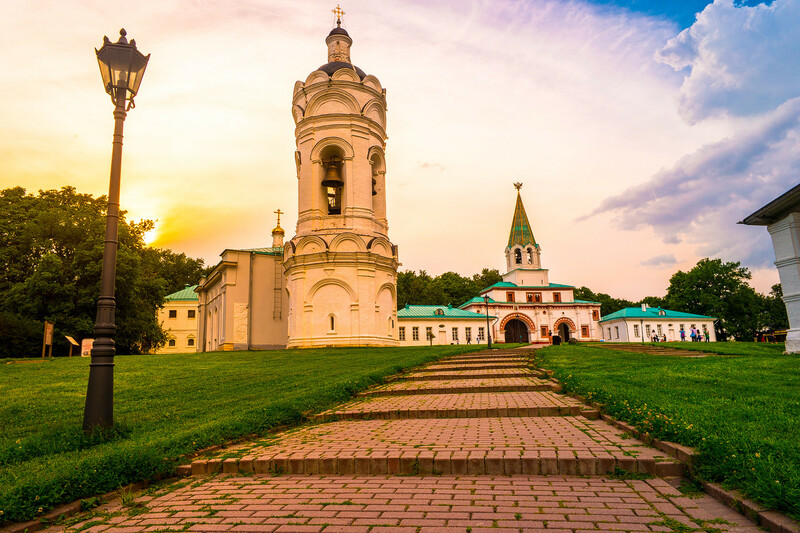 It’s a large, 390-hectare museum reserve where you can spend many hours simply wandering around enjoying the spirit of Medieval Rus. In Russia, not many wooden fortresses have survived: Some were destroyed by fire, some by time. In fact, there are only a few original wooden fortresses remaining in the whole world. 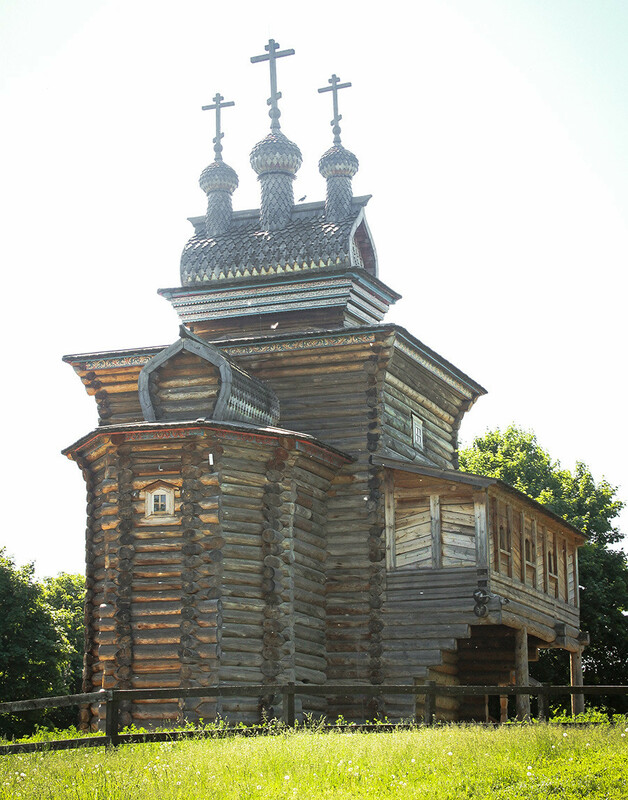 In Kolomenskoye you can see two of them at the open air Museum of Wooden Architecture. 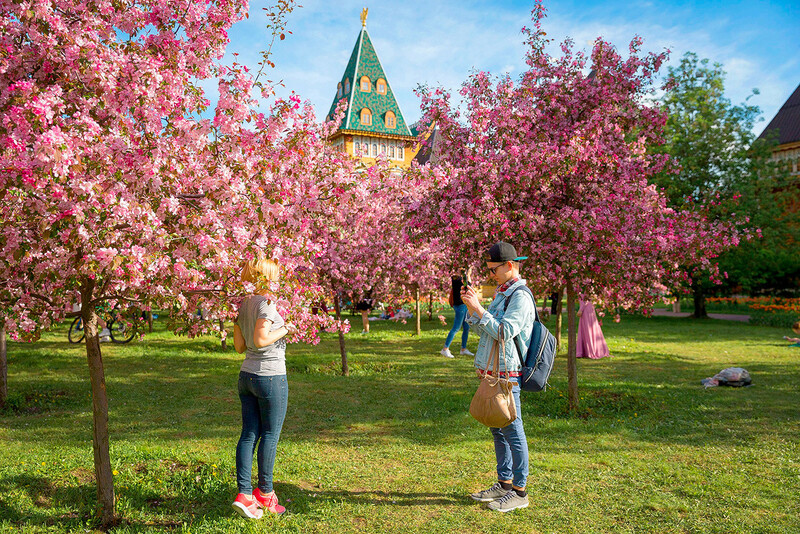 The first is Sumsky Ostrog – it was once located on the territory of modern Karelia and protected the inhabitants from the Swedish attacks, while the Mokhovata Tower was restored using old drawings. If you go to the upper floor, you can see how the Streltsy lived and even walk along the tower’s wall. 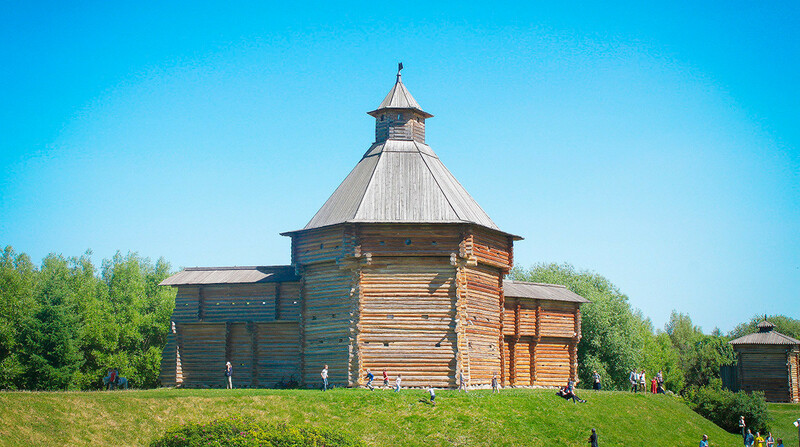 The second wooden fortress was transported from the Siberian city of Bratsk and in the 17th century served as a jail for old believers who followed the protopope Avvakum. 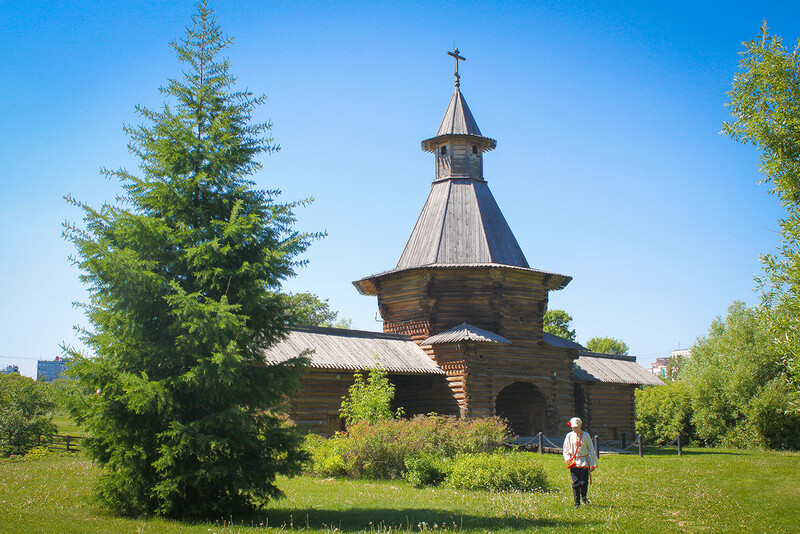 In Kolomenskoye you can also see the incredible beauty of a 17th century wooden Orthodox church, which was brought and reassembled on the spot from the Arkhangelsk region. It boasts both interior and exterior decoration. Look inside the church to find the ancient frescoes, which are still being restored. Every Saturday and Sunday during the summer there are sightseeing tours. You don’t need to bring a bicycle with you: There is a rental point on the pier. Tours start at11 a.m. and last two hours. 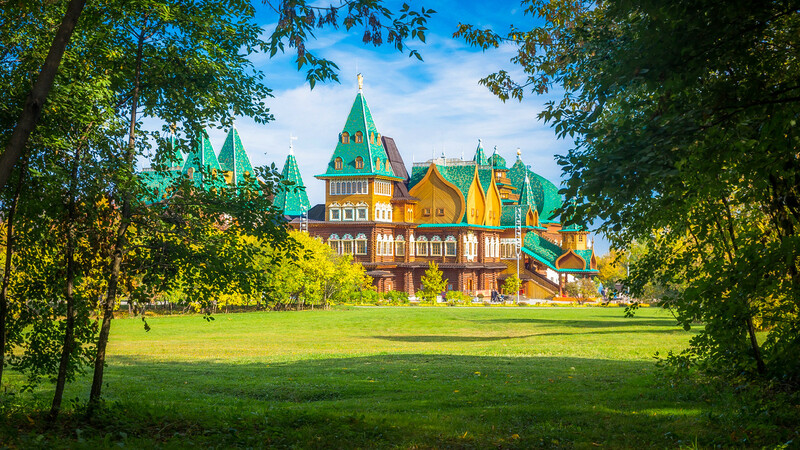 During this time you will see the first Russian Museum of Wooden Architecture, opened in 1924, the Falcon Yard (where Tsar Alexei Romanov liked to hunt), and the remains of the Dyakovo Gorodische, the oldest settlement in Moscow. Don't like riding bicycles? There are walking tours in English, French, German, and Italian. If you know Russian, you can test yourself by trying the "Secrets of Ancient Towers" quest, where historical facts come to life. 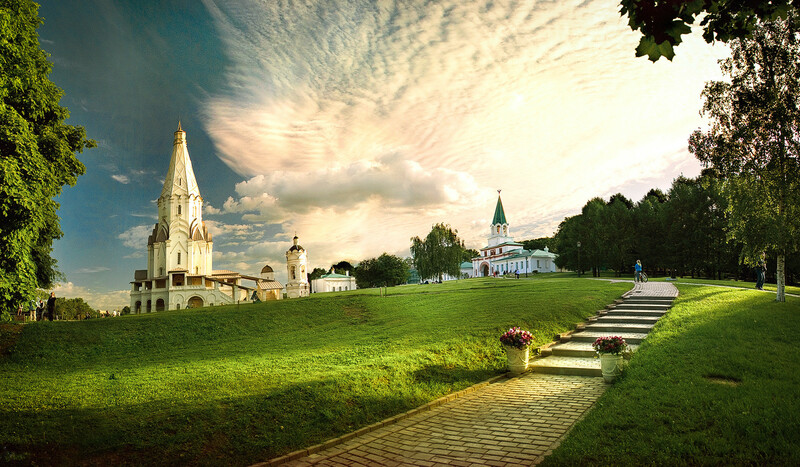 Kolomenskoye was first mentioned in the mid-14th century, and was the favorite residence of many Russian rulers. 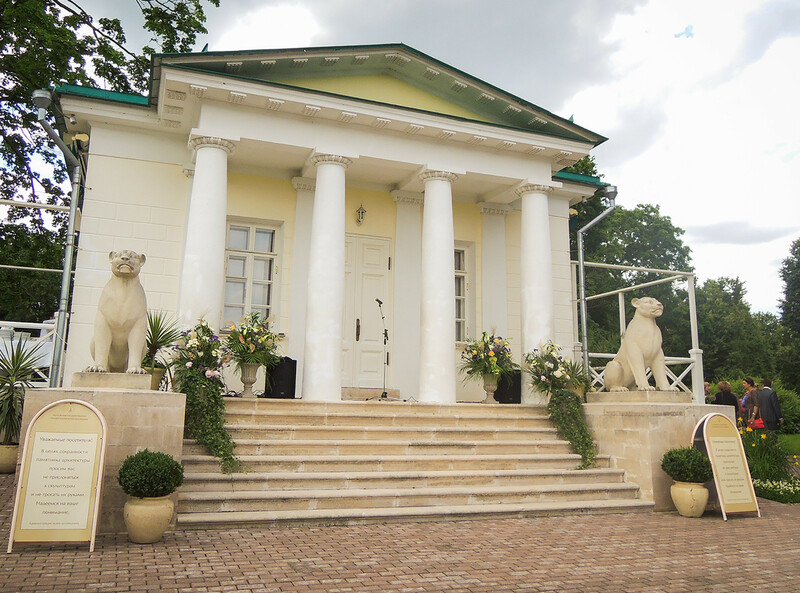 The dawn of the estate is linked with the reign of Alexei Romanov who built a beautiful palace here. Unfortunately, this wonderful creation no longer exists – a new palace sits on the different spot, built using drawings of its predecessor. There’s a legend that Peter the Great was born here. His place of birth is unknown but the local oak trees are named after him: Petrovskiye. Oaks that remember Peter the Great are still there and you can take a rest in their shade. Here you can find the only remaining part of Alexander I's destroyed 19-century palace. This empire-style tea pavilion gives an awesome river view. Over the weekend, Kolomenskoye is crowded with people leisurely walking on embankment hugging the Moskva River. So if you want to find a secluded place, go to the beautiful quiet gardens designed at the beginning of the 18th century. Apples, pears, plums, and berries were grown here for the tsars, and to sell. Later, beautiful paths were created so people could walk around the garden, which is especially beautiful when it blooms.